The Daddy ‘N Me program is a free monthly drop-in for fathers, grandfathers, and male caregivers to bring children to an organized social event. At the event, a male facilitator creates a supportive environment that encourages positive male to child interactions and sharing of ideas between male role models. 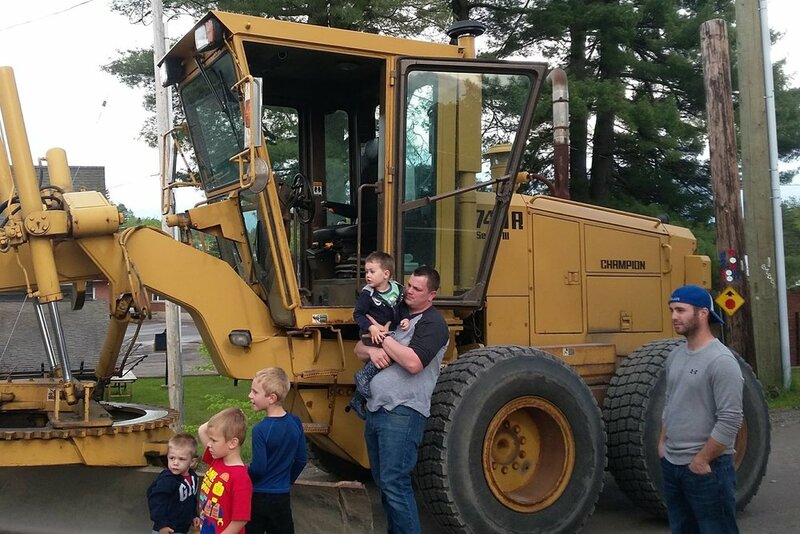 Each drop-in provides a pizza supper, a fun activity such as mini-golf, bowling, Touch-A-Truck, etc, and a literacy activity related to the activity. Research shows that children with involved fathers are better adjusted cognitively, emotionally, socially and physically. In the spring of 2010, after hearing a presentation about the Ontario Father Involvement Initiative, local community agencies met to discuss the feasibility of a Daddy ‘N Me program for North Hastings. The first Daddy ‘N Me drop-in was held in September 2010, and since then it has continued to be overwhelmingly successful in North Hastings. We are very grateful to the United Way, and local agencies and businesses for funding this program.